In 1973, when Spire became supervision of music, excellent programs that Dr. Robert Rowe had started in the 1940s were long gone; music education had taken the brunt of budget cuts as enrollments exploded in the 60s. 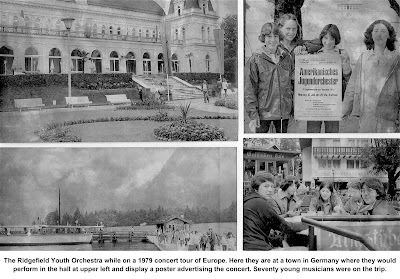 By the time Spire retired in 1990, music was flourishing in the schools and Ridgefield students were performing both here and across Europe. “My master plan is to see that every child, K through 12, is touched by culture,” he once said. Charles A. Spire was born in 1929 in Gowanda, N.Y., where, during the Depression, music was one of the few diversions and outdoor band concerts were regular community events. “I saw what music did for the small town where I grew up,” he said. As a boy he performed on any instrument he was given with any group he could. He studied music at Boston University, and with the likes of Arthur Fiedler and Paul Hindemith. He made his concert piano debut with the Boston Pops and also performed at Tanglewood with the Boston Symphony. But after serving as an Army major during the Korean War, Spire decided he wanted to work with children. He taught music in New York state from 1955 until coming to Ridgebury School as a music teacher in 1967. 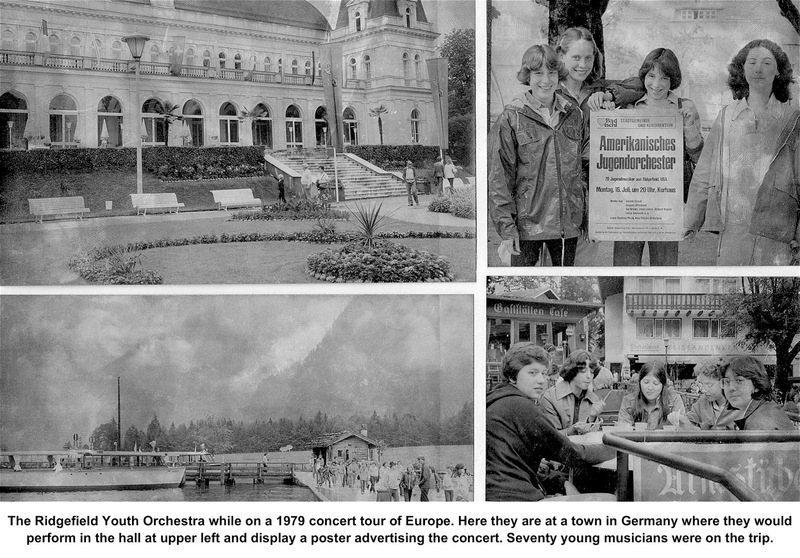 In 1971, he established the Ridgefield Youth Orchestra, which became so proficient it was invited to give concert tours in Europe in 1979, 1984, 1989 and 1991. 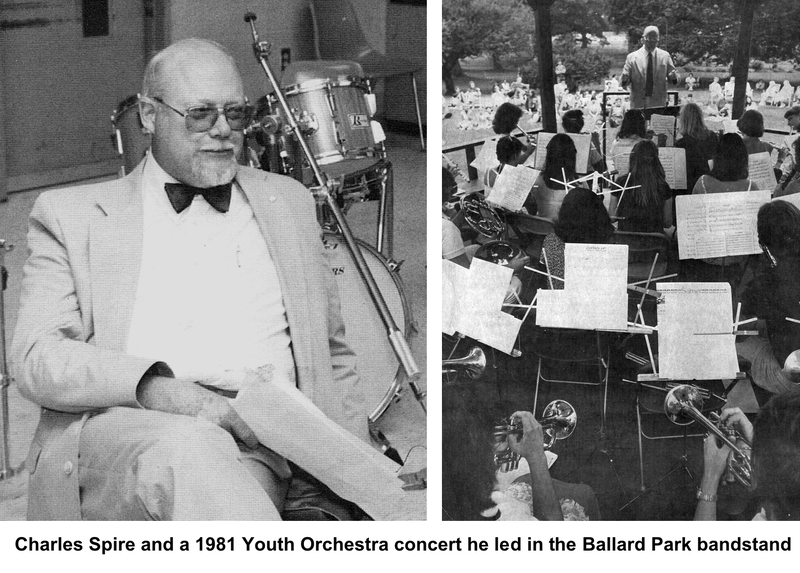 Recalling the performances he’d heard or been a part of as a small-town child, Spire staged 73 concerts in Ballard Park between 1973 and 1990, showcasing hundreds of student musicians. A member of the board of Opera New England, he brought opera stars to the schools and took many students to Lincoln Center for great performances. In 1975, he began spring Broadway musicals at the high school. A year later, he staged a huge, all-day school Art and Music Festival in Ballard Park to celebrate the Bicentennial. More than 2,000 students — from kindergarten through high school — performed. “Youngsters were dipping candles, weaving baskets, working leather, and compounding medicines, much like Ridgefielders two hundred years earlier,” wrote Lois Street in a 1990 Ridgefield Press profile of Spire. For his accomplishments, Spire was named Kiwanis Citizen of the Year in 1976 and Rotary Citizen of the Year in 1993. A longtime member, he had twice served as president of Rotary. In his spare time, he wrote for Symphony Magazine and served on the board of the Charles Ives Center in Danbury. He lived for many years on Cherry Lane where he maintained a water garden in a pond on his property. He eventually moved to Florida where he died in 2011 at the age of 82. On his retirement in 1990, Spire reflected on the countless students he had taught and led over the years. When he retired, he received a letter complimenting him for inspiring students “to strive for excellence in all things so that, in working hard and displaying individual initiative, they will know they can make a difference in the world.” The letter was signed by President George H.W. Bush. Spire hoped that in retirement he would be able to find time to return to composing. One of his plans was to take a march he once sold to MGM and rewrite it for orchestra. MGM used the march as the theme in the movie, “The Great Escape,” starring Steve McQueen. When he sold the piece, Spire had not expected the film to become a classic. “Boy, I wish I’d kept the rights,” he said with a grin.